Smart Drugs: Secret of the World's Tech Billionaires? 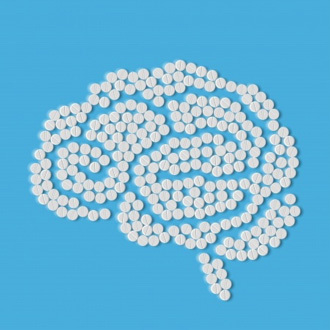 Nootropics, which are more commonly referred to as cognitive enhancers or smart drugs, have become increasingly popular since the 1970s. A few studies have indicated that at least some of these supplements are successful at providing most users with beneficial results, so it is no small wonder that people who are looking for a temporary mental boost turn to smart drugs. Surveys have found that up to 11 percent of U.S. students use nootropics on a regular basis, and some of the top entrepreneurs from Silicon Valley are now publically opening up about their interest in these products. According to CNN, author and entrepreneur Dave Asprey, who is best known for founding "The Bulletproof Executive," is a big fan of nootropics. Asprey takes as many as 15 of these supplement pills on a daily basis, and he credits smart drugs such as Piracetam with allowing him to "hack his own biology" in order to improve his health. Asprey says that he used to battle regularly with "brain fog," but this problem was reportedly eliminated after he started using nootropics. 'Smart drugs' help improve memory? Interestingly, claims that Piracetam enhances focus, improves memory and increases learning have been looked at by scientists as a possible treatment for patients with Alzheimer's and dementia. Although these studies have not led to the widespread usage of this nootropic by medical professionals within the U.S., they have determined that patients who take 8 grams of Piracetam daily are able to get better results while taking certain memory subtests. Asprey's success with smart drugs inspired him to begin selling some of his favorite supplements, and he reports that many of his customers are high level executives and business owners who operate within the Silicon Valley. For example, investor and entrepreneur Tim Ferriss has been experimenting with multiple nootropic stacks, and he indicated that he believes taking supplements is worth it, "even if it shortens your life by five years." Ferriss' statement might seem unusual, but the reality is that it is not easy to make it in Silicon Valley, and there are billions of dollars on the line. Therefore, doing something to give himself an edge in such a competitive business world definitely makes sense due to Ferriss' chosen career path. Asprey also echoed Ferriss' sentiments by saying that "the quality of my life is so much higher now" as a result of taking smart drugs, and any potential future side effects will have been "worth it." Sir Richard Branson was involved in a marketing campaign in 2011 for the Virgin Produced film "Limitless," starring Bradley Cooper. Although the advertisement can definitely be seen as nothing more than hype for a movie, it is intriguing that it poses a question about whether or not Branson utilizes smart drugs. When you combine this with his recent statement against the U.S. War on Drugs, it becomes easy to see that Branson has a liberal approach to the overall topic of drugs and illegal narcotics. Other big name entrepreneurs such as Elon Musk have not publicly addressed whether or not they have ever used nootropics to enhance their cognitive functionality, but it is clear that smart drugs are becoming a part of the Silicon Valley culture.